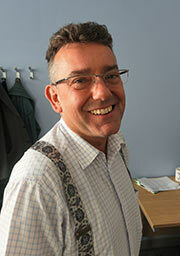 Dr Wood has been a Consultant Renal Physician at Salford since 1999. He practices in all aspects for kidney disease and has extensive roles in chronic kidney disease, kidney transplantation and live donation and also home haemodialysis. Renal PatientView was launched at SRFT on World Kidney Day in March 2007. It enables patients to view their information from anywhere in the world and share it with anyone they want. SRFT was the first renal unit on non-Proton system submitting data to RPV. Worked in collaboration with IT department and through the IT Governance Group to enable access for Salford kidney patients. This was a significant challenge and had not been achieved before within the National Program For IT. The aim is to give patients easier access to information about their conditions. Whether at home, with the GP or on holiday! It is part of the Renal Information Exchange Group – a group representing renal professional and patient associations interested in healthcare information. It is related to care planning in the Renal National Service Framework Information Strategy. MD thesis awarded by Manchester University, working in the University Department of Medicine (Lipoprotein Research Group). Acquired skills in various biochemical techniques, participated in several projects investigating the pathogenesis and treatment of hyperlipidaemia in patients with diabetes mellitus and inherited lipoprotein disorders. Demonstrated lipid and lipoprotein derangements in patients with renal disease. In particular interstitial fluid composition and aspects of the return of excess cholesterol from tissues to the liver. While continuing to deliver and develop high quality clinical service remained active in research. Additionally many posters and paper presentations at national and international meetings. Co-investigator Prims International observational study of EPO safety in kidney patients. Thomas S, Vivancos R, Corless C, Wood G, Beeching NJ, Beadsworth MB. Increasing frequency of Pneumocystis jirovecii pneumonia in renal transplant recipients in the United Kingdom: clonal variability, clusters, and geographic location. Clin Infect Dis. 2011 Aug 1;53(3):307–8. Soran H, Charlton-Menys V, Hegele R, Wang J, Benbow EW, Roberts I, Wood G, Durrington P. Proteinuria and severe mixed dyslipidemia associated with a novel APOAV gene mutation. J ClinLipidol. 2010 Jul–Aug;4(4):310–3. Chrysochou C, Manzoor S, Wright J, Roberts SA, Wood G, McDowell G, Kalra PA. Role of renal function and cardiac biomarkers (NT-proBNP and Troponin) in determining mortality and cardiac outcome in atheromatous renovascular disease. Kidney Blood Press Res. 2009;32(5):373–9. Chrysochou C, Randhawa H, Reeve R, Waldek S, Wood GN, O'Donoghue DJ, Kalra PA. Determinants of renal functional outcome in lupus nephritis: a single centre retrospective study. QJM. 2008 Apr;101(4):313–6. Chiu DY, Whiteside AM, Hegarty J, Wood G, O'Donoghue DJ, Waldek S, Mamtora H, Kalra PA. Epidemiology and investigation of acute abdominal presentations in autosomal dominant polycystic kidney disease. Nephrol Dial Transplant. 2007 May;22(5):1483–4. Epub 2007 Jan 27. 307. G N I Wood What I tell my patients about Home Haemodialysis. British Journal of Renal Medicine Vol 11 no 4 2006. Farooq V, Hegarty J, Chandrasekar T, Lamerton EH, Mitra S, Houghton JB, Kalra PA, Waldek S, O'Donoghue DJ, Wood GN. Serious adverse incidents with the usage of low molecular weight heparins in patients with chronic kidney disease. Am J Kidney Dis. 2004 Mar;43(3):531–7. Serum Troponin T Measurement in Patients with Chronic Renal Impairment Predicts Survival and Vascular Disease: A 2 Year prospective Study. Nephrol Dial Transplant. 2003 Aug;18(8):1610–5. P N Durrington, M I Mackness, D Bhatnagar, K Julier, H Prais, S Arrol, J Morgan and G N I Wood Effects of two different fibric acid derivatives on lipoproteins, cholesteryl ester transfer, fibrinogen, plasminogen activator inhibitor and paraoxonase activity in type IIbhyperlipoproteinaemia. Atherosclerosis. 1998 May; 138(1): 217–225. M I Mackness, B Mackness, S Arrol, G N I Wood, D Bhatnagar and P N Durrington. Presence of paraoxonase in human interstitial fluid. Federation of European Biochemical Society 1997 Oct 27; 416(3): 377–380. G N I Wood. Treatment of hyperlipidaemia of nephrotic syndrome with HMG CoA reductase inhibitors. Risk 1996 vol 4: 1. G N I Wood. Intracompartmental shifts of lipid and lipoproteins in patients with renal disease. Journal of Nephrology. vol. 9 no. 3 1996. G N I Wood, P A Kalra, H Mamtora, S Waldek, D J O’Donoghue. A febrile patient with a renal space-occupying lesion evolving into renal abscess: acute focal bacterial nephritis. Nephrol Dial Transplant. 1995; 10(7): 1248–1250. Kalra P A, Wood G N I, O’Donoghue D J, Mamtora H, Routledge R, Armstrong G, Sinnot P J, Jos V, Johnson R W G and Waldek S. Complete regression of recurrent diffuse malignant lymphoma after withdrawal of cyclosporin A in a renal transplant recipient. Nephrol Dial Transplant. 1994; 9(8): 1197–1200. P A Kalra, M Cooklin, G N I Wood, G O’Shea, A M Holmes. Dietary modification as cause of anticoagulation instability. Lancet. 1988 Oct 1; 2(8614): 803.